Sanitary ware is indispensable in our daily life. 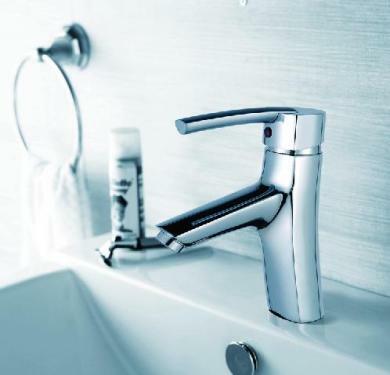 As people's requirements for the living environment are increased, higher requirements are placed on sanitary ware. What is the future trend of sanitary ware? Keyword No.1: Low-carbon With the growing awareness of human beings for environmental protection, the world is now advocating low-carbon and low-carbon racers who are racking their brains to apply low-carbon elements to every corner of their homes. In the bathroom with the most water, a smart water-saving faucet can make the low-carbon people feel complacent and make the low-carbon life to the extreme! Now the direction of the development of science and technology is gradually approaching the green environmental protection. Although the relationship between bathroom and environmental protection is not great, it can cultivate people's awareness of environmental protection in daily life. Excluding unnecessary appearance decorations, naked concrete can also create a beautiful and practical bathroom. Environmentally-friendly multi-functional sanitary ware has always been a hot pursuit for sanitary ware companies. The requirements for building a conservation-oriented society also put forward higher standards for sanitary ware products in the future. It can be said that water-saving sanitary ware will still be the largest feature of sanitary ware products. Keyword No.2: Overall With the changes of the times, sanitary ware is no longer the privileged service enjoyed exclusively by European nobles. Many middle-class people who are pursuing perfection also hope to satisfy their unique desires through customized homes. The overall main body of the whole bathroom is that its molded chassis is integral and has the function of waterproof and leakproof. Its high cost and large number of replicating features make it mostly used in the decoration of aircrafts and high-end restaurants. This advanced process replaces the traditional way of plasterers attaching ceramic tiles to make bathrooms. This industrialized production method is the future direction of the development of the bathroom, just like the whole cabinet that appeared more than a decade ago. The replacement of handmade paste by industrialization is an inevitable result of social progress. Therefore, as a single design element and decorative building material product, ceramic sanitary ware products must match with the life value elements such as furniture, lighting, decoration, and electrical appliances, and be harmonious. The ceramic sanitary brand set off an "integral" space trend in 2008, and many ceramic sanitary brands have integrated and intervened. In the future, the overall concept will continue to prevail. The "holistic" concept design will also be influenced by the wider and richer edge art ideas. Therefore, the overall sanitary ware is a modern consumer new fashion, which can realize the double enjoyment from life demand to spiritual pleasure, and provide consumers with a modern new bathroom experience integrating bathing, leisure, health care, fashion, warmth and sweetness.